The images in my previous post are for my hair salon project. The salon is to be situated on the beach so i wanted a name to reflect this. My boyfriend, a budding journalist came up with the name 'Beach Cut' using word association. 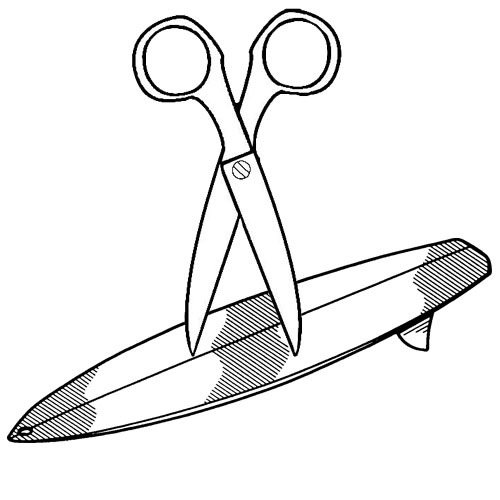 He then came up with the slightly eccentric idea for a logo, a pair of scissors on a surf board. After a few tricks in photoshop, I came up with this rough outline. But in the end, I went with this more sophisticated design, which matched the tone of my salon.